Writing a novel can be difficult. The very act of staring at a blank page and then coming out with intricately woven stories can be an arduous task. And, if that wasn't enough, after you finish writing your novel, you have to organize your manuscript, format it, and then mail it to your agent. Oh, what a pain! Though we can't help you with the writing part, we can definitely suggest some tools that will help you better organize your manuscript. These tools, which work perfectly on Linux, let you write your novel, organize it, and then format it according to publishing standards. Moreover, they also let you compile your manuscript and export it into multiple formats by the push of a button. So, once you finish writing your novel, you can simply click a button and your novel will be ready to be published on Amazon bookstore and many other online e-book stores. Though not a dedicated novel-writing tool, LibreOffice is one of the best word processors out there. It comes with a plethora of features that can help you not only format your novel to perfection but also organize it. LibreOffice has a simple interface and also a familiar one if you are a longtime computer user. One of the biggest advantages of LibreOffice is that it works across all major platforms. So, if you've saved your novel in Dropbox and your computer crashes, you can access the same file from your friend's Mac or Windows device without losing any formatting. Writing a novel in LibreOffice needs you to learn a few things about Master Documents. Once you go through this tutorial, you'll be well-equipped to write a novel or a thesis entirely in LibreOffice. Also, if you are planning to publish your e-book in ePub format, you can download the Writer2ePub extension. 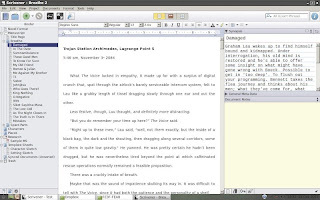 For more information on using Writer to your advantage, refer to LibreOffice Writer Guide. 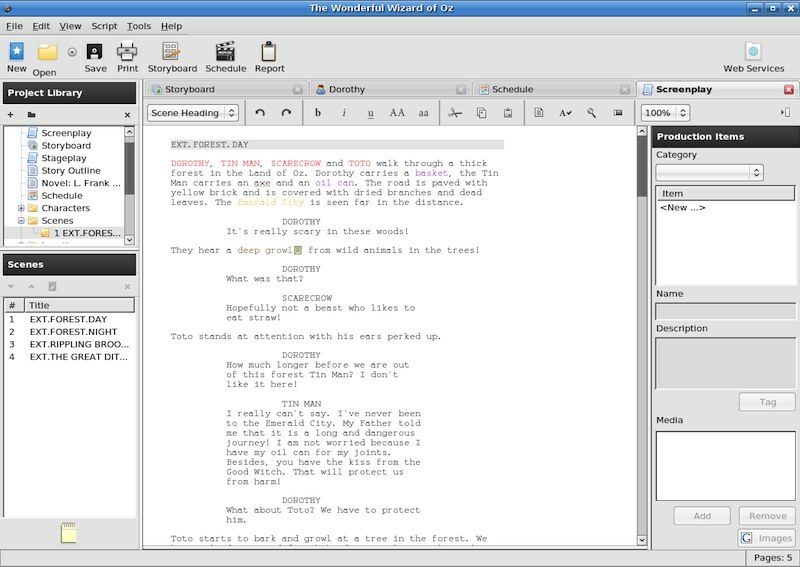 Celtx is a popular screenplay-writing application that also works well for writing novels. With built-in collaboration and an easy-to-use interface, the application is used in 170 countries by over 3,000,000 storytellers. Available for Windows, Mac, and Linux, Celtx desktop is a great choice for upcoming storytellers. The application lets you format your story into industry-standard manuscripts so that you won't have any trouble submitting your work to literary agents. Though the basic version of the application is free, it does require you to register your email id for free. 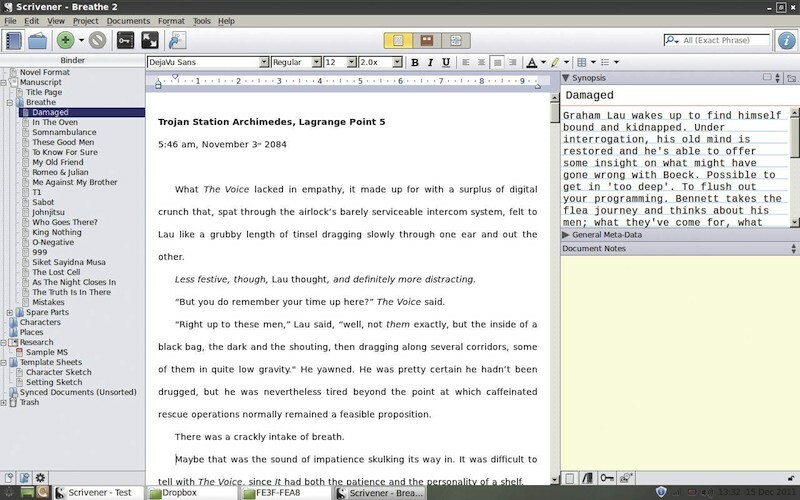 Though in beta, Scrivener can be deemed as the best novel-writing tool on Linux. 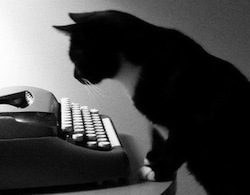 The application, designed specially for novelists, lets you write your manuscript in an industry-standard format. Once you start writing your novel, you'll be able to organize its chapters, characters, and even the places in the plot in an easy-to-use visual cork board. Also, if you're running out of ideas, the application lets you generate names for your characters using its automatic name generator tool. Upon installing, you'll get an interactive tutorial of the application guiding you through its various features. Once you get used to the interface, you can start writing your novel in a distraction-free full screen environment. Once you're done, all you have to do is press Compile and your novel will be exported in a neat, organized, industry-standard format. 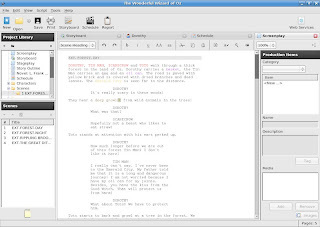 Though Scrivener isn't free, the beta version of the software can be downloaded for free on Linux. Expect to find some bugs here and there but overall the software works fine on Ubuntu. If you're having trouble installing the beta version, you can refer to this guide. 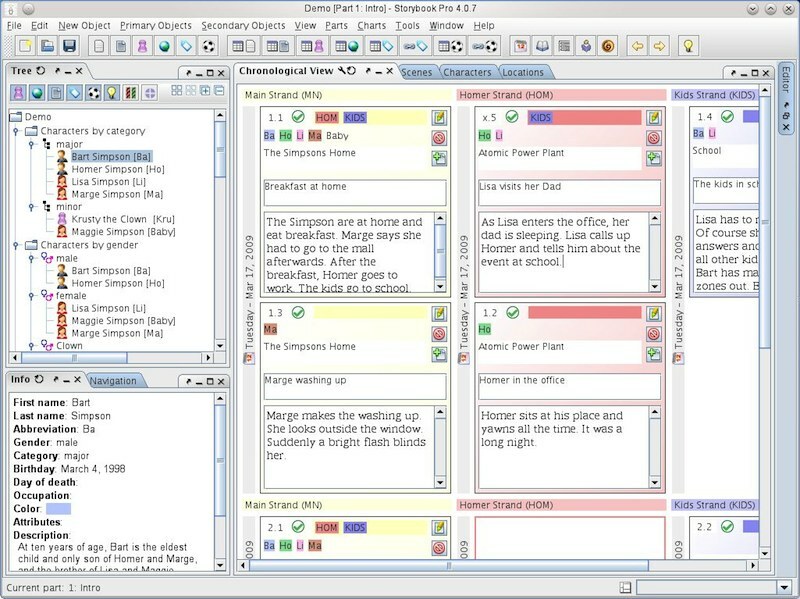 Storybook is an open-source novel writing software that works across all platforms. Designed specially for novelists, Storybook lets you manage and organize your characters and plot in a user-friendly interface. One of the strong features about this application is that it lets you get an overview of multiple plot lines while writing a novel. This ensures that you never lose track of the story, no matter how complicated it gets. The application comes in two versions: basic and pro. 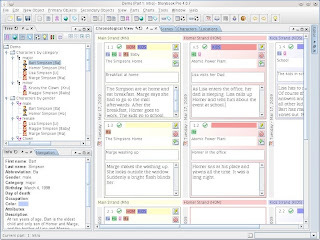 The basic version lets you write and format your story; however, it misses out on many features like exporting and charts. If you want, you can compare the features using this chart.